This text comes from our book, Light to the Nations II: The Making of the Modern World. It continues our account of Garibaldi’s invasion of the Papal States. For ordering information on Light to the Nations II and our other texts, please click here. … But Garibaldi received his first check when six thousand of his Redshirts attacked several hundred members of the Legion of Antibes at the fortified town of Monte Rotondo, about 17 miles northeast of Rome. Greatly outnumbered, the hard-fighting French legionaries held off the Redshirts for 27 hours but at last were forced to retreat. The Redshirts moved in and ransacked the town, plundered and defiled the church, and terrorized the people. So great was the destruction in Monte Rotondo that Garibaldi himself rebuked his men with the sternest words. But it was no use; the “Liberator of Italy” could not control the many desperate men (bandits and other criminals) who served in his army. Though a victory for Garibaldi, the Battle of Monte Rotondo benefited the papal army. The legionaries had so badly bruised the Redshirts that Garibaldi hesitated several days before making his final push against Rome. This text comes from our book, Light to the Nations II: The Making of the Modern World. For ordering information on this and our other texts, please click here. In this selection, we discuss the final phases of the Thirty Years War and the Peace of Westphalia. The threat of France entering the war convinced the elector of Saxony to make peace with the emperor. 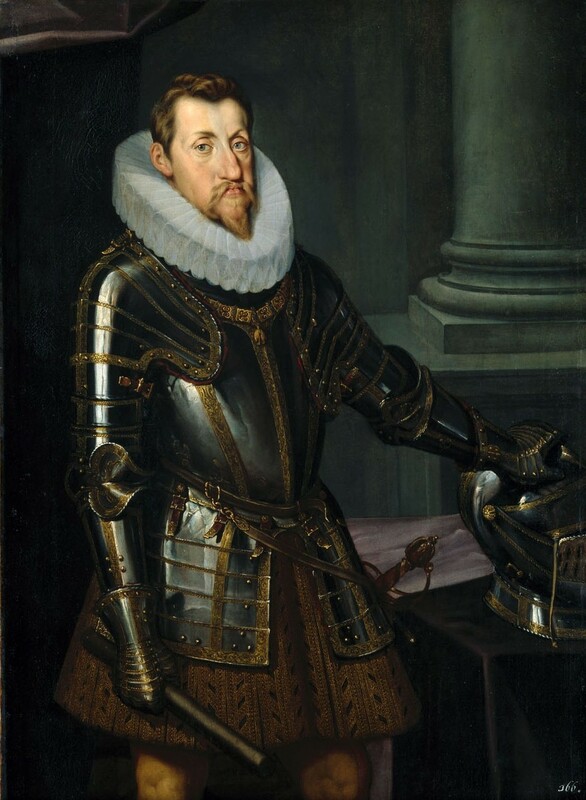 Ferdinand II tried to get other Protestant princes to follow the elector’s example, and in the Treaty of Prague, he granted amnesty to all princes who consented to sign it. The treaty was an attempt to unite Germany against the French foe—and several Protestant princes did indeed sign it on May 30, 1635. But other Protestant princes decided to continue supporting the Swedes and their ally, Cardinal Richelieu. Richelieu’s strategy was twofold. France would help fund the Swedes and the Protestant princes in their war against Ferdinand in Germany, while France itself would attack the territories of Habsburg Spain. Thus, while France’s allies continued fighting in Germany, French armies moved against the Spanish-controlled Netherlands (or the “Spanish Netherlands”—the southern Netherlands, modern-day Belgium), Franche Comté (a territory of Burgundy in France), and northern Italy as well as Spain itself. So violent were the French attacks that eventually, King Philip IV of Spain could no longer send troops to help the emperor against the German Protestants—which was just what Richelieu wanted to happen. The following comes from our textt, Lands of Hope and Promise: A History of North America. For ordering information on this and our other texts, please go here. The secularization of mission lands, along with the Mexican government’s approval of more land grants to white settlers, increased the number of private ranchos in California. These great cattle ranches centered on the hacienda — a long one-story adobe building, sometimes with porticoed wings enclosing a courtyard, but always with a shaded verandah. Rancho dons were noted for their extravagant hospitality to strangers, their rodeos, bull fights, balls, and feasting. Besides cattle raising, which was practically his sole occupation, the Californio filled his hours with singing and dancing.